#LangLeavinPH to join the discussion. *Registration starts at 10 am for all events. 2. Registration will start at 10 AM for all events. FIRST COME, FIRST SERVED. 3. 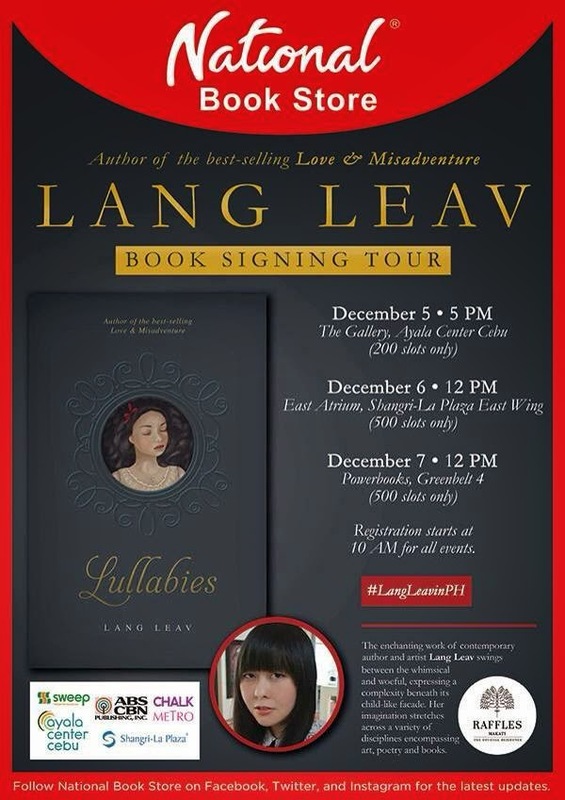 Lang Leav will only sign copies of her book LULLABIES. No other book or other item will be allowed. 4. Each registrant is only allowed to have one (1) book signed. 5. Only copies of LULLABIES bought at any National Book Store, NBS Express, and Powerbooks branches will be allowed. The book MUST have its official receipt or price tag.